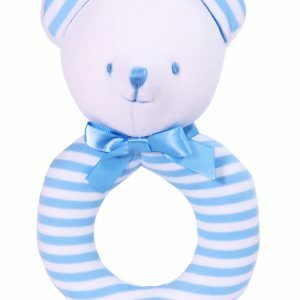 First Birthday 48cm Bear wears a blue stripe t-shirt under blue drill overalls. 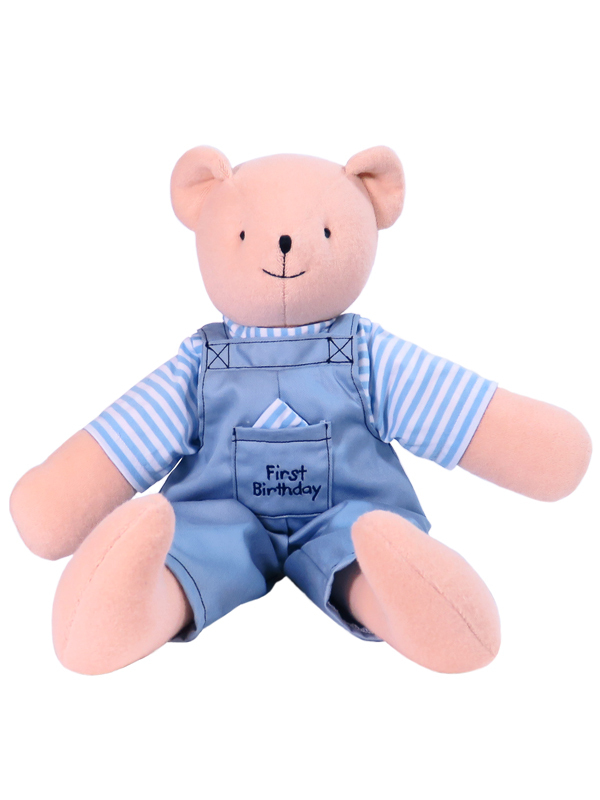 So soft and cuddly, Kate Finn’s First Birthday 48cm Bear is the perfect gift for that special day! Clothing is removable. 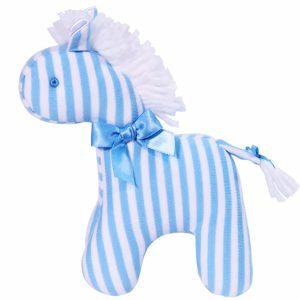 Add a matching Blue Stripe Bear Ring Rattle to make your baby gift extra special! 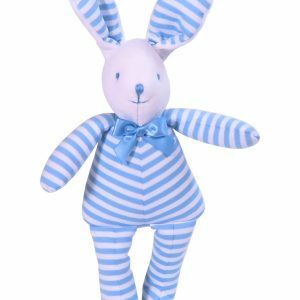 Kate Finn is now creating short animated stories about “The Finnies” featuring Kate Finn Rag Dolls and Baby Toys like the First Birthday 48cm Bear. These short stories have been beautifully crafted to keep little ones enchanted so download the movies from Kate Finn’s Vimeo or YouTube Channel!